If I had wanted to completely prepare for critiquing this film, I’d have needed to watch about a dozen other movies. Iron Man, The Incredible Hulk, Iron Man 2, Thor, Captain America: The First Avenger, The Avengers, Iron Man 3, Thor: The Dark World, Captain America: Winter Soldier, Guardians of the Galaxy; I stand corrected, it’s only eleven. It’s remarkable really, eleven films in seven years, all tied together and leading into this movie. And not only that, but this isn’t the pinnacle by a long shot. Still to come are Ant-Man, Captain America: Civil War, Doctor Strange, Guardians of the Galaxy 2, Spider-Man, Thor: Ragnarok, Avengers: Infinity War Part 1, Black Panther, Captain Marvel, Avengers: Infinity War Part 2, and Inhumans, taking the “Marvel Cinematic Universe” into 2019. There are actually plans to continue the series into 2028, with different phases of films over the years. I don’t know about you, maybe you’re a comic book junkie, but if writing this has made me this tired, I have no idea what trying to follow along with this megalomaniacal story line will do to my health. The Avengers are back! After defeating Loki as a team, surviving the destruction of S.H.I.E.L.D., and going on countless individual & team missions, the world’s greatest force for good are together for another battle. But this threat doesn’t come from outer space, another dimension, or some planet full of gods. No, this evil is of their own making. After encountering a pair of “enhanced” super humans who will later go by the names Quicksilver & Scarlet Witch, Tony Stark & Bruce Banner begin an impossible task; the creation of an artificially intelligent computer who will protect the Earth from every threat, allowing the Avengers to retire in peace. Well, they succeed, but the result isn’t exactly what they had in mind. Instead, they have created Ultron, a self-aware robot with the power to evolve far past the scope of mere humans, and the anger to wipe us out in the process. 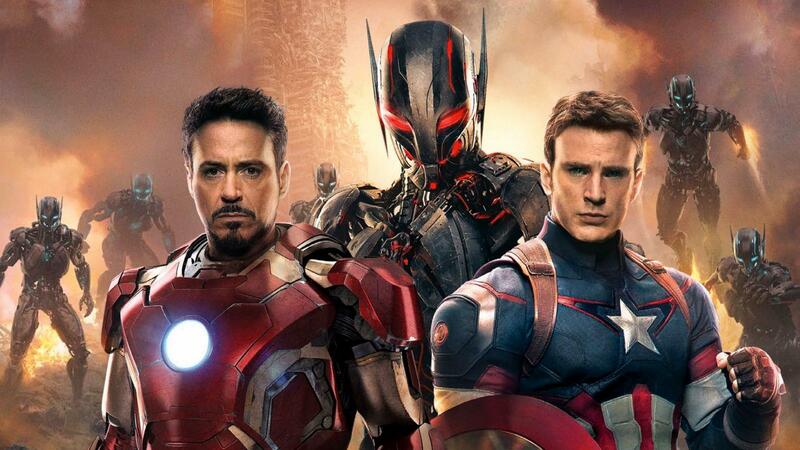 The Avengers will have to rely on each other, work as a team, recruit some new members, and outwit a super-computer in order to save mankind from complete annihilation. 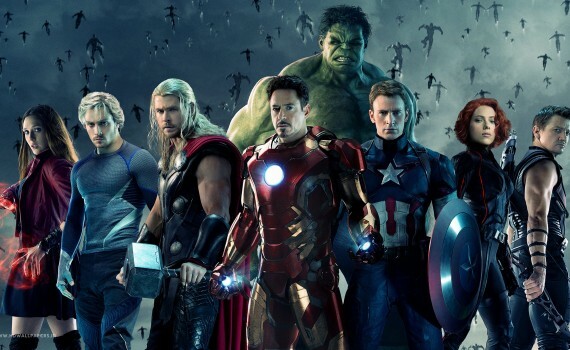 I began my review of The Avengers by stating, for the record, that I’m not a comic book fan. It won’t hurt to reiterate that here, so you’ll know that I was never going to love this movie, as perhaps you were prepared to do. I only kinda liked the first one, finding it way too action-packed, not very well acted, and ultimately boring due to its lack of emotional balance. And by that I mean that the action was too constant, that it dulled my interest instead of exciting it, that the beginning felt like the end, and I wasn’t moved at all. 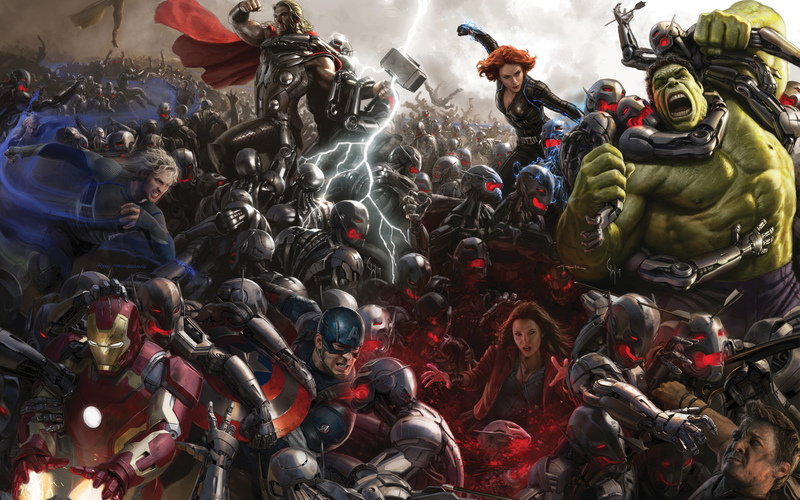 Age of Ultron was at least better in that category, if not blowing my mind with improvements. It had a flow, a depth, some down time, some background, a bit of a darker edge, and, oh yeah, a robot who sang a Pinocchio song. But in looking for positives, that’s what jumps out at me most, the addition of humor, heart, and a few levels to the dramatic baseline. I found myself enjoying what I was watching more than I did during the first film and feeling fairly happy by the end the show. But (because there, of course, is one) it’s not perfect. After the first scene I was afraid I was going to hate the next two and a half hours. The computer graphics were terribly unrealistic, every one was killing every one else, it was a giant reminder of what I didn’t like about the other film, and I thought that the action would never stop. To the film’s credit, it did slow down, but wow what a way to start a movie going over the top. Thankfully someone put on the brakes, but it was chancy there for a minute. The acting was actually OK and I liked the addition of the new characters, as someone who didn’t watch all the other movies: Falcon, Rhodey, Ultron, Scarlet Witch, Quicksilver, and one more that I won’t name just in case it’s a surprise. But the fact remains that I didn’t see every other one, that I never even wanted to, and that I’ll never love this series. Guardians of the Galaxy was one that I did enjoy immensely, and I’ve heard a few people say that this one is better than that. Well it’s not, not even close, but it’s heading in the right direction, should entertain most everyone, and will delight all you comic book nerds who can’t get enough of this world. The action may always be on the brink of frying your brains, the dialogue may always be one step away from complete cheese, and the movie as a whole may be pretty exhausting to watch, but if I got through it with a smile on my face I’d imagine you will too.